Why Stranger Things Is Important — SHAI COTTEN | Write. Film. Create. Even if you were not able to tune in for the SAG Awards 2017 ceremony, you likely haven't missed the hype flooding social media about this year's award winners. Hidden Figures won for Outstanding Performance by a Cast. Denzel Washington and Viola Davis won for their roles in the film Fences. Actor Mahershala Ali won for Outstanding Performance by a Male Actor in a Supporting Role for Moonlight. But it is the win for Netflix's hit series Stranger Things for Outstanding Performance by an Ensemble in a Drama Series that is truly taking the media by storm. Now, the cast of Stranger Things were not only the award winners to get a little political in their acceptance speeches, in the wake of Trump's recent "Muslim ban". But if you haven't already watched David Harbour's speech, watch it now, and if you have - view it again just to watch the looks on the cast's faces as they traverse the full emotional range from confusion, to realization, to pride. Harbour's speech is eloquent, it's poignant, and it is delivered in the true gusto of his character, Jim Hopper - with tremendous heart and ferocity. Stranger Things took audiences by storm when it was first released on Netflix in 2016. People were quick to celebrate this charming callback to American 80's sci-fi and horror, and it soon became a viral trend. However, I would stretch to say that Stranger Things was not a groundbreaking show. The performances the actors gave were phenomenal, and the story and pacing executed flawlessly, but as far as being revolutionary or innovative, the truth is that Stranger Things is nothing starkly new. It is very simply a fantastic sci-fi show. Stranger Things getting an award show win is what is groundbreaking. There is a reason that "Oscar-bait" has become it's own genre, and that is because the films and TV series that are nominated and awarded for award ceremonies all typically fit the same mold. 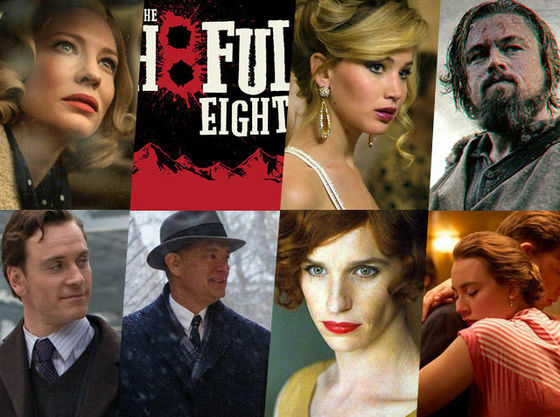 Besides being released at an ideal time for nominations, they tend to conform to the same genres: period dramas, Holocaust films, "true story" adaptations, white guilt films, or any other film that plays on heart strings and allows for a wide range of powerful acting without taking any real risks. This is important. By creating this whole category for films that are "Oscar-worthy", a statement is created as towards what sort of stories "deserve" to be celebrated or honored. This is a system that rewards creators for taking the road well-traveled. It entirely excludes mainstream or "genre" media. This system also tends to focus on narratives that are in the past. Narratives that rehash old stories of hope and victory as if to remind us: look at us, we fought that fight. We should be so proud. No reason to fight it anymore. The power of fiction - mainstream, genre fiction - is that it is never not relevant. The symbolism and metaphors in Lord of the Rings, or Alien, will never grow old. The accessibility of fiction is what makes it ageless. Because we will never not be at war. We will never not be terrorized or afraid. We will never not be pressed with the decision to be courageous in the face of difficulty, horror, or oppression. 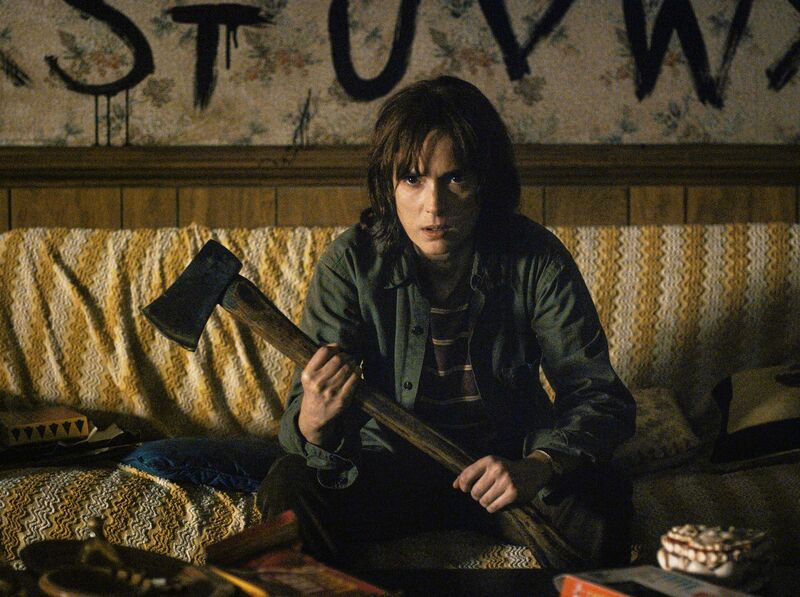 Fiction like Stranger Things lets people know, as David Harbour said, that we "fight monsters" on a daily basis, and we will always have the strength to do it. It is so incredibly important, in the wake of everything happening in our country presently, to see actors and creators - the symbols of action and resistance that we all see in our day to day - standing up and speaking out against tyranny. Narrative and fiction has the potential to create radical change. The same power that Katniss Everdeen of the Hunger Games franchise represents. Not to go toe to toe with villainy, but to stand as a symbol for others to rally around. A fiction which conceals, at its heart, a message of truth. When the character Evey Hammond from the film V for Vendetta asks V, our masked vigilante, why he is intent on blowing up parliament, he replies, "A building is a symbol, as is the act of destroying it. Symbols are given power by people. Alone, a symbol is meaningless, but with enough people, blowing up a building can change the world." In the light of the recent election, I know many may feel that our voices go unheard, and that in the face of the government, we have no power or choice. But we do have a choice, and that is in what we give power to; the symbols, movements, and ideas that we support or demand. Chose to give power to the narratives that symbolize radical change, fierce resistance, vehement horror, and unbending hope. Support the stories that reflect our struggle - that support the truth that monsters are real, and seek to build up in us the courage to fight back against them. With enough people, believing in one unified ideal, a story can change the world.